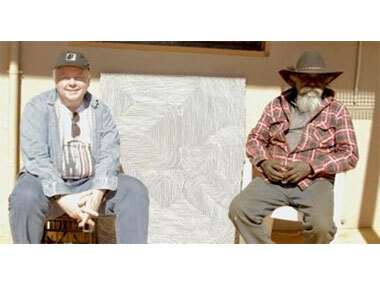 Dennis Scholl may have fired up Aboriginal art on the US stage with his overnight Damascene discovery in 2008 of abstraction in Indigenous paintings, leading to a collection that had reached 320 works just a few years later, followed by two national tours of America by selections from it. But now he's moving back into the contemporary art scene of his native country by becoming president and chief executive of ArtCenter/South Florida in Miami on Sept. 1. 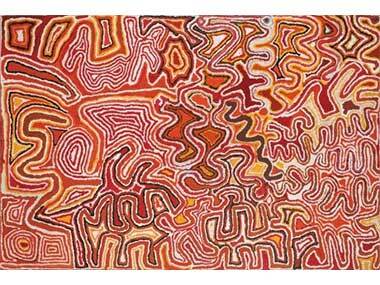 Does this mean he's deserted his collecting of Aboriginal art? I'll try to find out. But his conversion from an earlier, major accumulation of Atlanticocentric contemporary art (with his wife Debra) and even the creation of a private museum called World Class Boxing after the building's previous occupants, employing curators and writers to display the collection, seemed like the end of that line when he declared, “We'd grown a little tired of the cult of personality and money that the contemporary art world has become so were looking to re-energise”. But now, in his home town, the ArtCenter/South Florida, described by the NY Times as “a scrappy non-profit in Miami Beach, (that) has long been overshadowed by the area’s newer cultural arrivals; its founding mission of providing affordable artist studios is nowhere near as fancy as starting a museum (like the Perez, where Scholl is a trustee) or partying at the annual Art Basel Miami Beach fair”, has lead Scholl astray. It has much to do with the ArtCenter's 2014 decision to sell one of its buildings, bought for US$684,000, for $88 million, making it the best-endowed art institution in town. “Dennis has certainly shown that he can build institutions,” said Kim Kovel, ArtCenter’s board chair, “having led Miami's Knight Foundation to expand its philanthropy into the national arts arena, overseeing nearly $200 million in grants between 2009 and 2015; and that’s what we were looking for. Thanks to prudent investing and a booming stock market, the Center’s endowment has swelled to $94 million. We have to transition from a starving arts organisation to one with resources, and say ‘What can we do that other arts organisations can’t?’”. To that end, Dennis Scholl has indicated that subsidised artist studios would remain at the core of ArtCenter, within a new campus-like setting. But studios are just one element. ArtCenter will begin a grant program to fund local artists’ efforts to create new work and participate in exhibitions around the world. Education will also play a major role, with international talent being flown to Miami for workshops. “The goal is to transform the Miami art world into one that commands attention beyond those five days in December when Art Basel unfolds”, he promised. By the way, Scholl's men's show, 'No Boundaries' has completed its US tour, but the women's version, 'Marking the Infinite' will continue touring until early 2019! 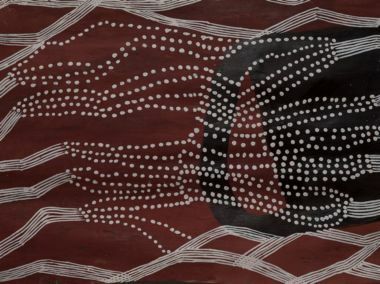 The painting that opened Scholl's eyes - Tjumpo Tjapanangka's 'Wiringurru', (1998) - when seen in the Art Gallery of NSW.